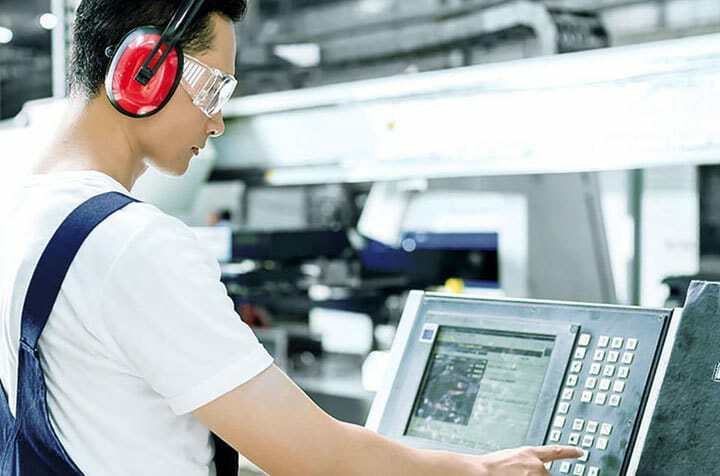 Machine data recording with bisoftMDE guarantees a perfect flow of information between production and production planning, securing permanent dialog with recording terminals through complex control and transmission programs. Individual generation of reports and evaluations, instant messages, current process data and key figures such as utilization grade, efficiency factor and quality level ascertain OEE (Overall Equipment Effectiveness) and provide complete integration into your manufacturing environment right from the start. Our bisoftMDE software for machine data recording is based on up-to-date technologies by Microsoft and operates independent of databases. It possesses XML interfaces and can be utilized via internet or intranet. bisoftMDE is an innovative product on tomorrow’s technical level – including highest investment security.